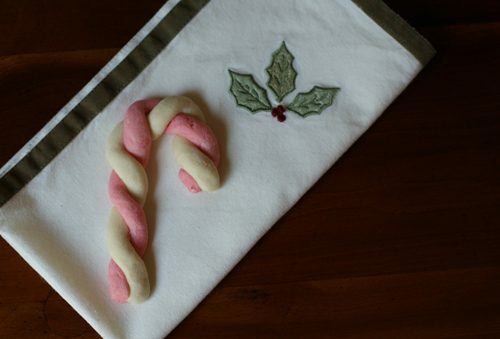 If I could only choose one tradition or one cookie to bake, this would be it! You see, for the longest time I had this vague memory of delicious candy cane cookies that my mom used to make when I was little. I could almost taste the cookies, but I couldn’t find the recipe. A few years ago, I finally thought to do a Google search for one, and since then, I’ve tested quite a few versions of this, combining them and making adjustments until I found the perfect one. 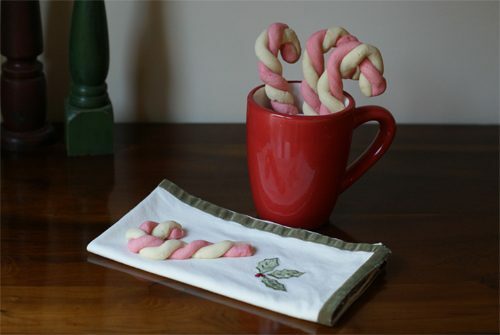 The key is the almond extract, which gives them their unique flavor, and although some people use peppermint extract instead (which probably makes sense given that they’re shaped like candy canes), it’s the almond flavor that I love! Now, my mom and I make these together each year. They’re fun to make and even more fun to eat!